The PriceEngine is a tool that creates proprietary streaming FX Quotes customised for your customers. The first module loads the sources, cleans and re-formats them. Next, Dealers create their price rungs for various sizes they want to quote. Further, it customises the bank's rates into different price groups and manages customer limits. Finally, Quotes are sent to various 3rd party portals and your own web e-FX front-end. 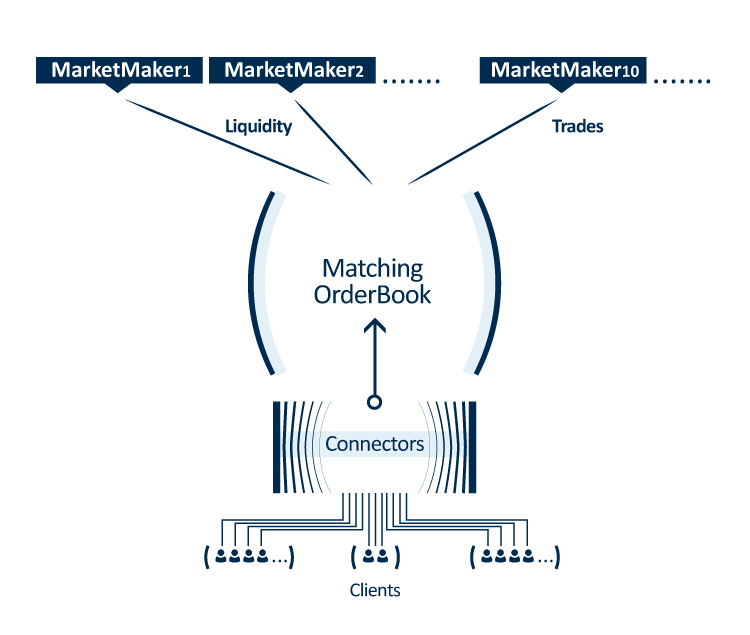 The Matching Order Book Engine is to match orders and convert them to trades when their target price level has been reached. It relieves Dealers from having to watch every order in the book and concentrate on their VALUE ADDED trading jobs. 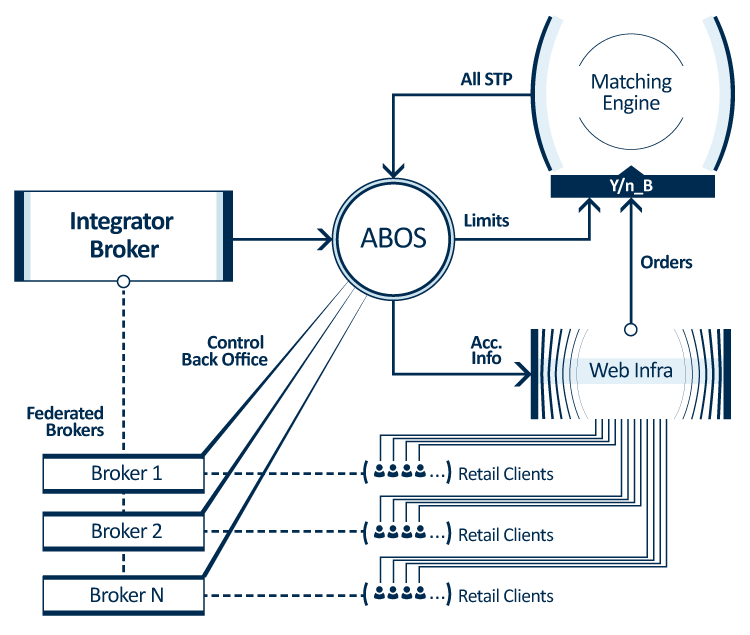 The Margin and Reval Back Office System is a comprehensive trading back office solution for institutional and retail clients, including Spot FX and other asset types. The solution is scalable to efficiently manage tens of thousands of accounts and millions of trades. It includes connectivity to external vendors for cash deposits and withdrawals. 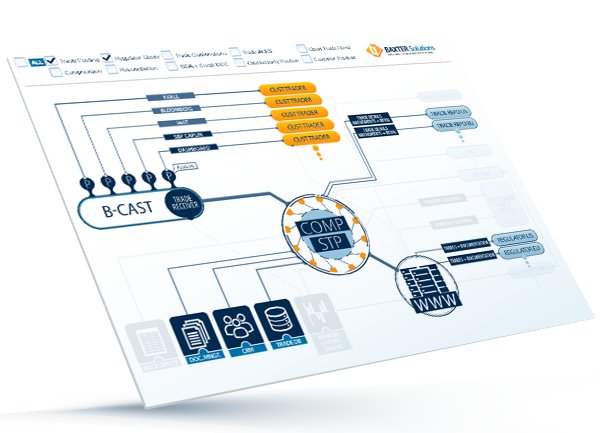 Encompasses connectivity to a comprehensive set of external platforms for the receipt of STPs. Incorporates easy integration with external platforms for information (client static data / real-time calculated information). It also comprises a comprehensive set of price source feeds for use in its internal calculations. A Matching Orderbook operating like an "exchange"
FX regulations significantly impact the foreign exchange (FX) market. Dodd-Frank FX, miFID, EMIR and the Tobin Tax all impact market participants in the world of FX trading. These rules have changed the way people conduct trades in the FX market and the reasons they decide to enter into trades. At BAXTER we take regulations seriously and have a solution that complies with all requirements. Please use the tick boxes on the top of the screen to select the regulations suitsed to your environment. We provide modular e-FX systems to Tier 1 and Tier 2 banks over the globe. We tailor suit architectures for different implementations depending on the specific need of our customers. Our full solution containins a complete workflow from rate engine through price distribution to more that 15 plugins connecting different platforms, it includes position warehousing and trade inventory management. In other cases rates are created by liquidity providers and trades are auto hedged on the market immediately.